"Best-In-Class Service by Certified Technicians at Affordable Rates"
Same-day on-site service is available for most of our products. To find out more, call us today! Troubleshooting & Repair Most home office users don't have time to hassle with bringing a computer to a retail repair shop. Why make customers go through the process of unplugging all the wires, packing the PC up in the car, dropping it off for several days, going back to pick up the PC and attempting to set it all back up again. We make it easy by going directly to the customer's home or office to handle their computer troubleshooting and repair needs. In extreme circumstances App-teks will pick up the PC, repair it in-house and deliver it back to the customer ready to plug and play. Do You Need Laptop or Notebook Repair When you choose App-teks for your laptop repair, you are placing your trust in good hands. You can rest assured your laptop will be diagnosed and repaired by one of our knowledgeable technicians. We repair Apple PowerBook & iBook, Toshiba, IBM, Lenovo, Sony, HP, Compaq, Panasonic, Dell and most other brands. Call 301.765.7655 for fast convenient service. 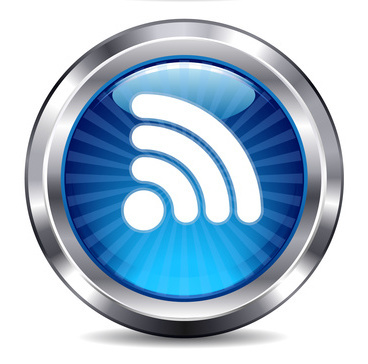 Wireless Networking If you are a small business or home owner, you can share internet access through a single wireless router. This saves the trouble and expense of running cables throughout their home or office. Wireless networking provides mobile users with laptops and handheld devices convenient access from any point within range of the router. Data Backup & Recovery When it comes to protecting valuable computer data, most of us know that we should be making regular backups because a system failure would cause unthinkable hardship. We are focused on providing solutions that help small businesses and home users protect their data without investing a lot of time and energy. For protection and complete recovery of data customers turn to App-teks experts. Computer Optimization & Tune-Up With high-speed internet connections, computer systems are prime targets for hacker probing, worms and viruses. We provide computer repair, spyware and virus removal, data recovery, network and printer connectivity. DSL & Cable Modem Setup There are millions of High speed DSL and Cable internet subscribers throughout the United States. The numbers continue to increase as provider competition drives down monthly costs. Many small office and home office (SOHO) computer users rely on the internet for daily correspondence and business transactions. Often a technician is required to install and resolve equipment connectivity issues. App-teks provides DSL and Cable modem setup with internet access to multiple computers in one location. ©2007 Applied Technology Resources, Inc.